It’s not the challenges you face, but how you face them, that matters in life. 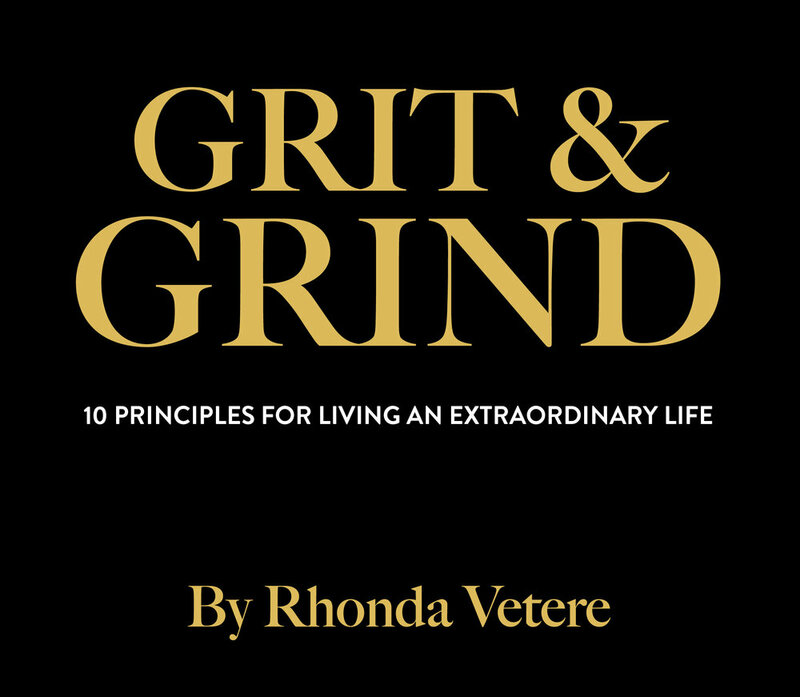 Rhonda Vetere, seasoned C-suite technology veteran, knows firsthand that there’s no such thing as a perfect, struggle-free life. In her work as a global technology executive, she’s faced down some of the biggest financial crises of modern times, and she knows it’s not what challenges you face in life but how you face them that matters. Grit & Grind uses real-life stories of how Vetere and her team navigate the volatile tech industry and illustrates her simple practice for building confidence in her abilities—no matter what the challenge is. We all face obstacles as we wind our way through life. Whether you’re seeking success at work, creating a lasting relationship, or just trying to get “unstuck” in some area of your life, the quickest way to get what you want is to dive into the mess and learn your way through it. Grit & Grind gives you a simple 10-part practice for building bone-deep confidence in your own abilities. No matter what challenges you face, no matter how messy things get, you can work your way through them and things will be better on the other side. 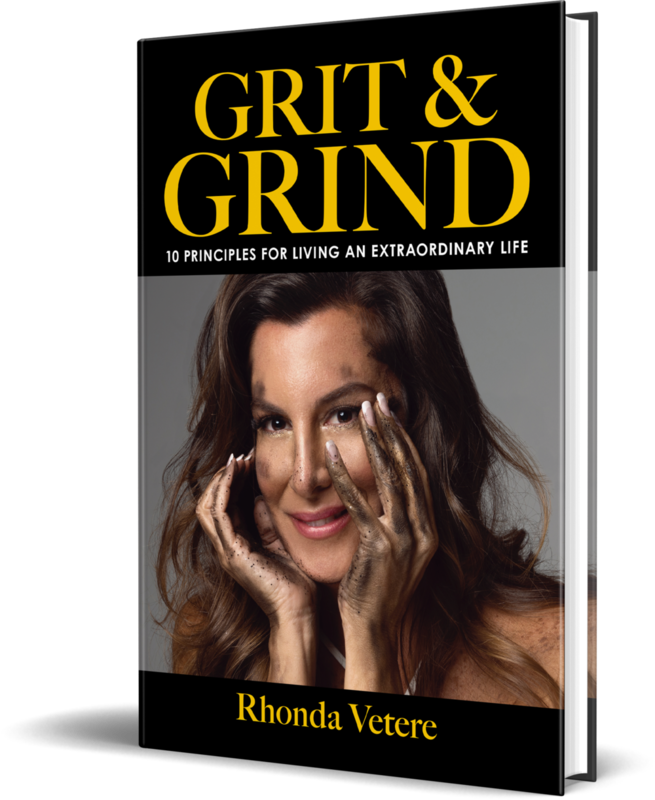 When you’re not afraid of getting your hands dirty, and when you embrace the idea that Grit & Grind can be fun, nothing can stop you from achieving the life you desire. A passionate leader in technology across industries, Rhonda has worked in global executive positions at Estée Lauder Companies, AIG, HP Enterprise Services, Barclays / Lehman, Bank One / JPMorgan Chase, CompuServe, UUNET, MCI, and Worldcom. She has lived and worked internationally – in New York, Hong Kong, Singapore, London, Mumbai, and across India – and has managed teams of more than 20,000 people. As an industry expert and influencer, Vetere has been a keynote speaker and panelist at many conferences and events, including the World Economic Forum in Davos, WIT (Women in Technology) Connect, Microsoft Global CIO Summit, Dell EMC World, and the U.S. Vice Presidential Candidate Debate. Rhonda has been recognized with for her leadership and influence, notably with a 2017 Stevie Award for Excellence in Transforming Business and as a multi-year Top 100 CIO/CTO Executive Leader in STEM by STEMconnector.